Sister Shivani is known for her dynamic, engaging and down-to-earth nature. She is a hugely sought- after speaker due to the clarity of the wisdom that she shares with her audience. With a background in engineering, she has the ability to analyze the deep rooted reasons for the negative emotions that are experienced in life. Dr. Girish Patel is a well known psychiatrist and a trainer with international fame. He has written books on health and psychology. In his visit to 40 countries he has given more than 6000 presentations. He is also the executive secretary of medical wing of RERF. Kanupriya has been a celebrated media person for the last fifteen years. A multi-talented personality, she has sown her brilliance in all genre of the media. Having a desire to reach out to the world, one of her biggest international daily TV shows 'Awakening with Brahma Kumaris' is changing people's lives all over the world. 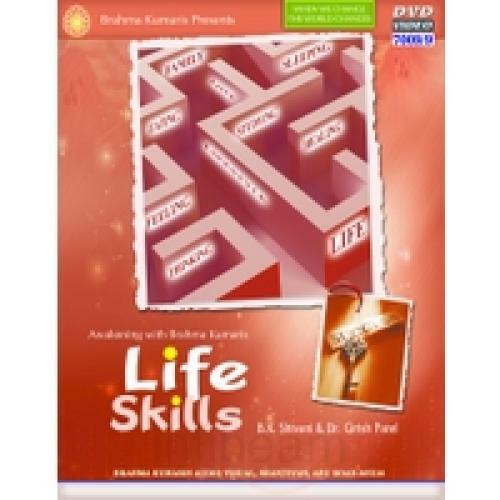 Life Skills In our journey of life we learn number of skills. Right from reading, writing, drawing, computers, dancing etc. but no one taught us the skills of leading a beautiful. Even when we thought about Life, we only learnt skills outside. Our quality of life depends on our thoughts and this series explores the skills of thinking and the effect it has on various aspects of our life - relationships, body, food etc. The series gives an indepth understanding of the power of minding in healing various pains and ailments of the body; effect of thoughts on food and then food on the mind; thoughts for good sleep and many other aspects connected to our day to day routine.